The Croatian Employers’ Association (CEA) was established in 1993 as a voluntary, non- profit and independent employers’ association that represents, promotes and advocates for the interests of its members. The CEA was created by a group of respective Croatian entrepreneurs who recognized the potential of joint action and the importance of the employers’ association in tripartite relations. Founded on the principles of voluntary membership and democracy in representation of all their members’ interest, the Association promotes ideas of entrepreneurial spirit, rights and freedom. Since 1994 the CEA has been the only employers’ representative within the national Social-Economic Council, the highest tripartite social body for social dialogue in Croatia. The Council was established in order to determine, defend and promote the economic and social rights of entrepreneurs and workers, to maintain harmonised economic, social and development policy, to encourage collective bargaining as well as the application of Collective Agreements but also its harmonisation with the economic, social and development policy. Pursuant to the Labour Act from 1996, the CEA as voluntary, independent and legitimate employers’ association, was given the legitimate right to negotiate in the process of collective bargaining and to sign Collective Agreements on behalf of employers. The CEA is a strong and independent voice of employers and entrepreneurs. Its regional offices in Rijeka, Osijek, Varaždin and Split make a powerful entrepreneurial network in all Croatian counties. 30 branch associations of CEA advocate for specific economic interests of different sectors. Since 2012, CEA has been the headquarter centre/representative of the UN’s initiative Global Compact for Croatia, thus promoting the principle of corporate social responsibility among its members. 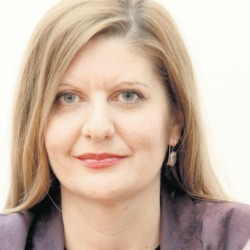 Marijana Filipić works at the Croatian Employer's Association. 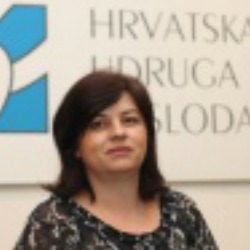 Sanja Smoljak Katić works at te Croatian Employer's Association.